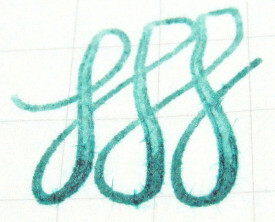 Ever wondered what you could do with a Noodler’s Standard Flex pen? 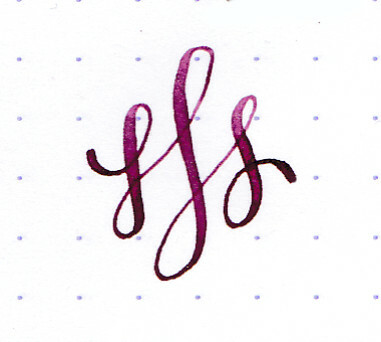 Noodler’s Standard Flex with Noodler’s Black Swan In Australian Roses. Isn’t the ink pretty in a clear barrel? 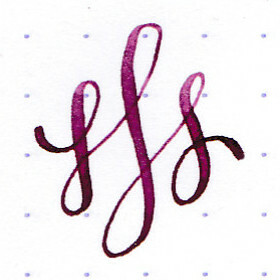 After watching a few Nathan Tardif videos yesterday, I pulled out a Noodler’s Standard Flex pen that was languishing in a drawer. 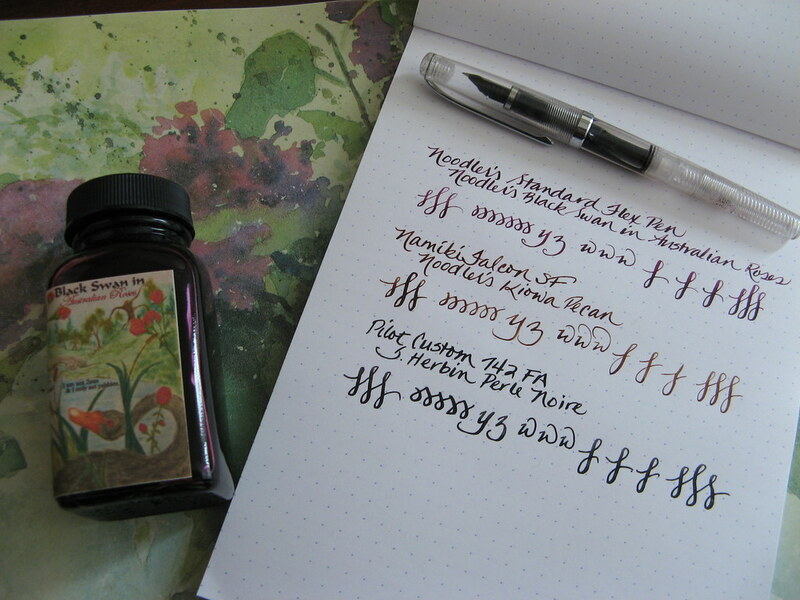 Following Nathan’s lead, I filled it with Noodler’s Black Swan in Australian Roses to impressive results. 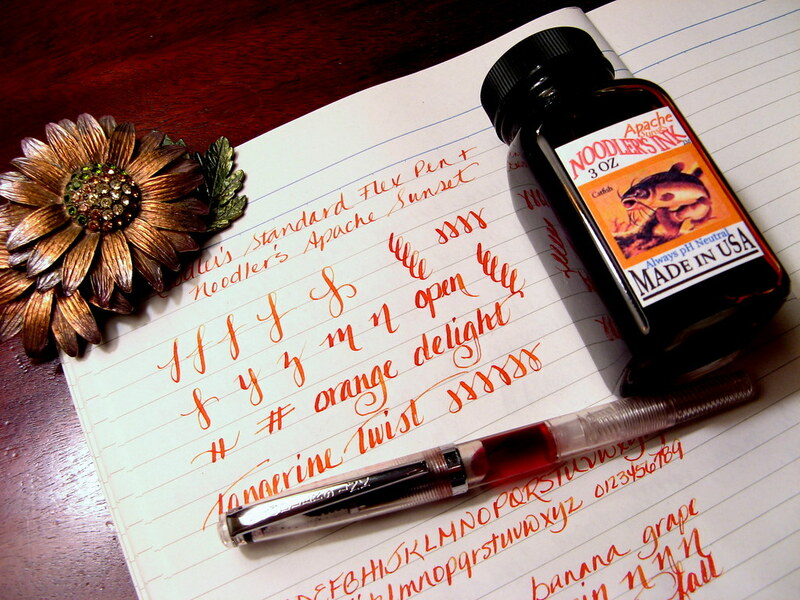 Noodler’s pens come in three sizes of which the Standard is the smallest. The Ahab is the largest while the Konrad is in between. One thing I’ve discovered in the past year is that with the added pressure needed to get those lovely wide lines, a smaller pen works quite well for me and often better than one with a chunkier girth. 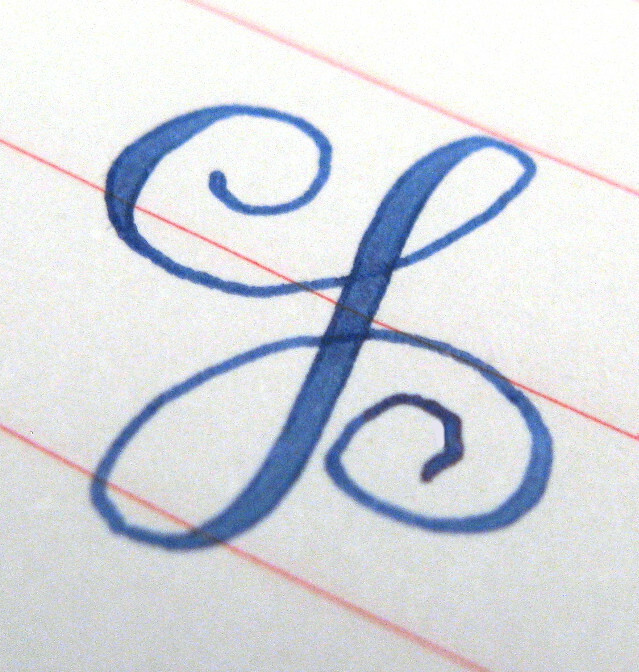 Consequently, the Standard that I purchased when it was first released has become an excellent size for flex writing even though in the past, it seemed too narrow. One of these models will suit your hand and all come with flexible nibs. 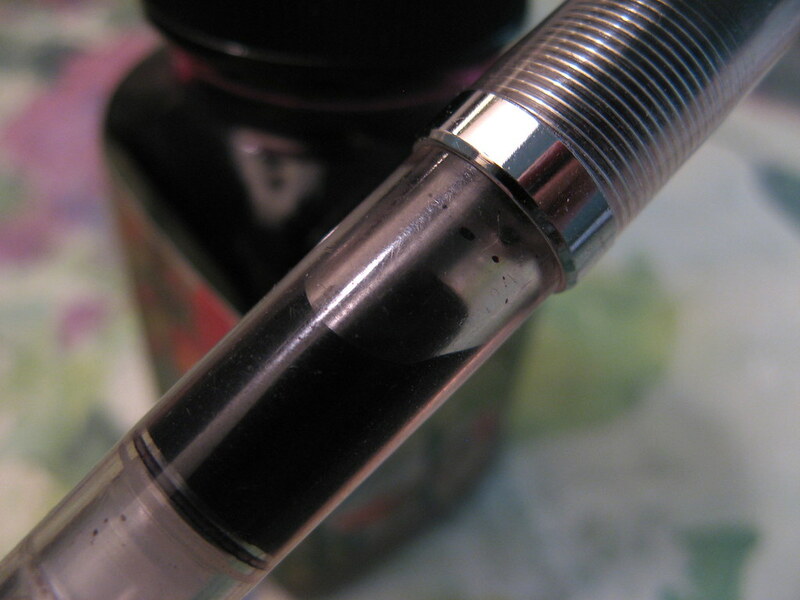 The piston filler works smoothly and the cap screws on tightly. It has a solid feel to its construction and should last a long time. 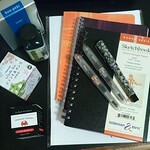 I have the clear version also known as a demonstrator or demo. 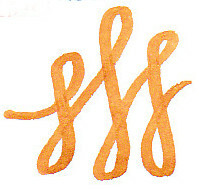 Years ago clear-bodied pens were used to demonstrate the inner workings. 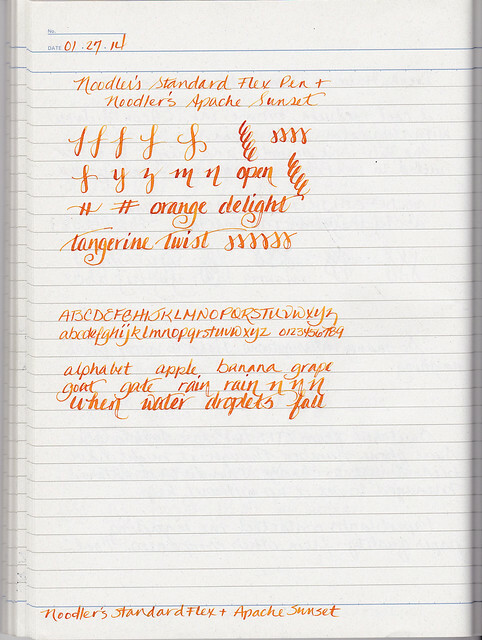 Admittedly it is fun to see that, but the real treat is seeing the color of the ink. 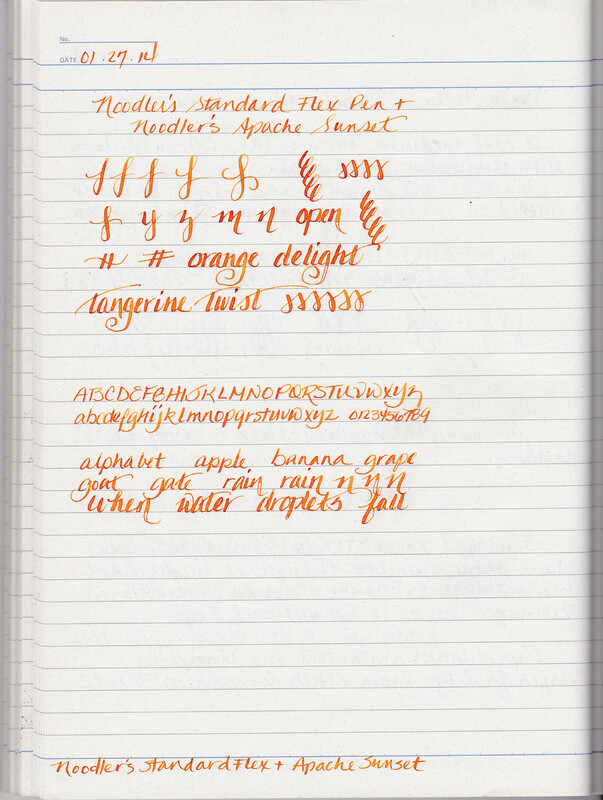 For the Standard demo, Noodler’s Apache Sunset, Golden Brown or Black Swan in Australian Roses are beautiful as well as perfect for flex writing. 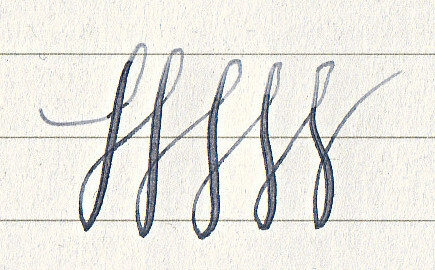 The nib is stainless and can produce significant line width. 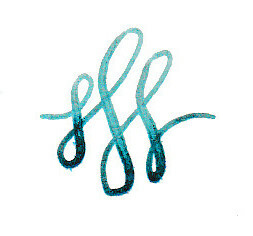 The writing sample shows what can be done with very little effort. Note the lack of railroading even when I write rapidly. This is a very well-tuned pen and required no adjustment to achieve excellent results. The only caveat is the odor. After two years, the cellulose still has that characteristic scent though it has faded considerably with time. 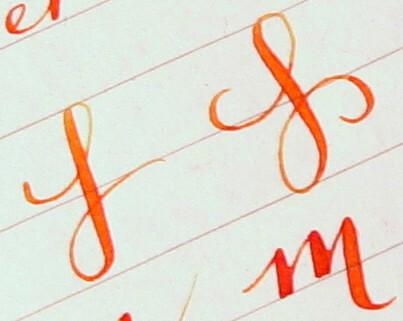 The fun of writing with such a flexible nib overrides my dislike, so the Standard Flex will become a regular participant in my rotation. Rubbing my fingers over the stainless steel faucet at my kitchen sink seemed to reduce the mild odor that lingered after a brief session. That trick works on things like onions and garlic, too. For the connoisseur, the nib isn’t as supple as a Waterman’s Pink Nib, but it is very affordable and easily replaced if lost or damaged. 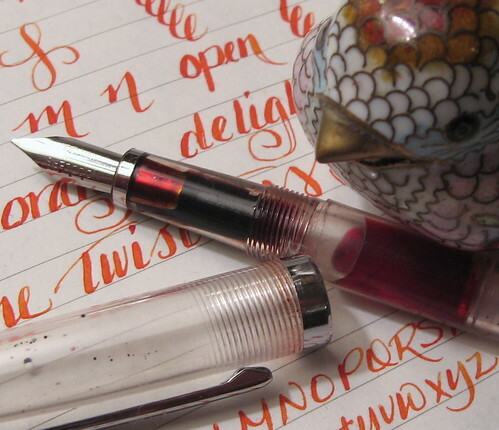 This is the flex nib I would take on the road whether to the neighborhood coffee shop or on a cross country jaunt. 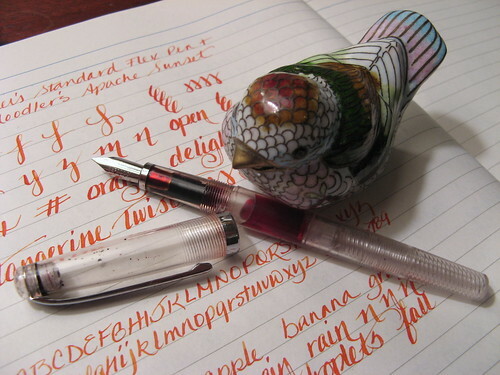 For the newbie, this is the least expensive pen to explore flex writing. Just go easy with applying pressure. 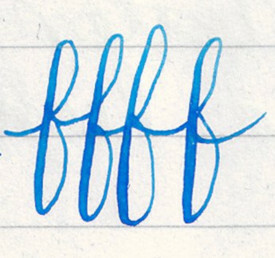 Learn the pen’s limits so the tines don’t get damaged when you go for that 1.o mm line. Forget the low-priced junk on eBay and pick up a Noodler’s Standard Flex pen. At $16 or so, it’s a steal. 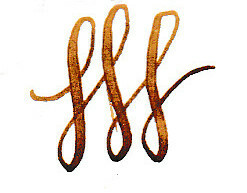 Grab one at Peyton Street Pens, but read the cleaning info at Noodler’s Ink. Cellulose can get damaged if cleaned incorrectly.